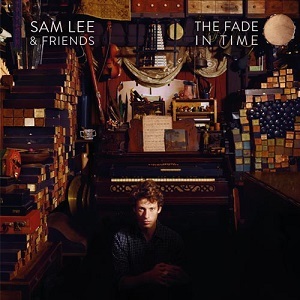 "The fade in time" is the follow up to Sam Lee's 2011 debut album "Ground of it's own", which saw him nominated for a Mercury Prize. This is certainly an unusual album. Is it folk? Well yes and no - it's folk but with a very experimental edge. Imagine taking a folk song then fusing it with something completely different and the results are what you get here. Every song is different yet still has a folk basis. The album opens with "Johnny O'The Brine" which may sound like it's going to be a nice traditional song, but instead what you get is vocals that could sound like they could come from any folk group but mixed with drums that have a very African sound and rhythm, and then some horns add a harder sound. It's a strange mix but somehow it works amazingly well. "Blackbird" has a totally different sound - piano and lots of crashing cymbals and a brass section give a distinctive sound to the song. It's a constantly changing album and you never know what to expect from the next song. "Lord Gregory" opens with an archive recording about the song, but the song as performed by Sam Lee here is once again not a traditional version. Vocally it is a traditional sound, but once again different instruments are used to give it a unique and interesting sound. This is an album that mixes traditional folk with a far more varied experimental sound using a variety of instruments to give a fascinating collection of songs. This is definitely an album well worth a listen.